Or at least that's what they stated in the invitation, which was delivered to us by a virtual pigeon. The super trendy fashion store Max & co. will be presenting the latest trends and collections for spring and summer 2014. 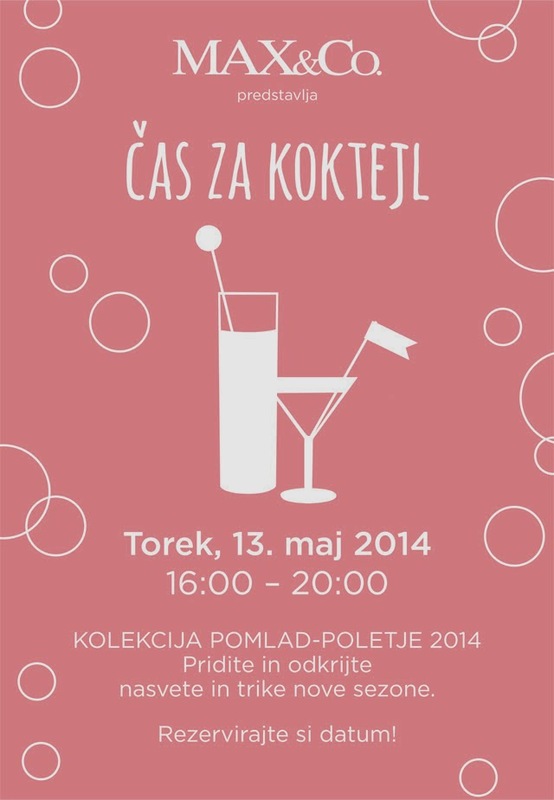 Don't miss it on Tuesday, 13th of May from 4 p.m. to 8 p.m. at 1, Miklošičeva street in Ljubljana. There could also be a cocktail or two! A must for any fashion savvy chick (or dude).